We moved on from Bryce Canyon to our next stop, Zion National Park. Zion is different from any other National Park in that it is really only accessible via a shuttle bus that takes you up and down the park. I guess the idea is to minimize the vehicle traffic. While relatively close to Bryce Canyon, Zion is completely different. Gone are the hoodoos of Bryce. Zion National Park presents with soaring canyon walls and majesty. 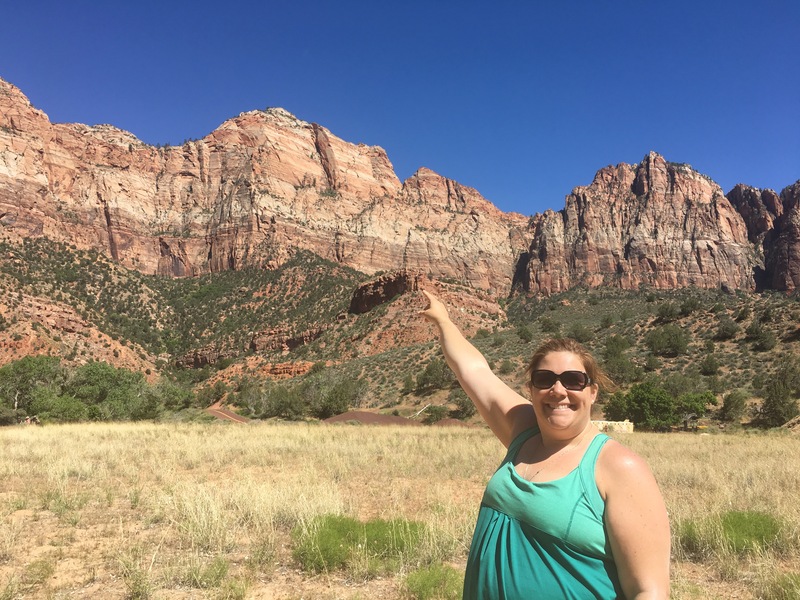 Unfortunately we didn’t get to do two of the most iconic parts of the park – Angel’s Landing and The Narrows. For Angel’s Landing, there simply wasn’t time for me to wander off on my own and the fam wasn’t going to try it. And the water level was too high so the park had closed The Narrows. Hopefully I can hit both of those the next time I visit! We decided to hike the Watchman Trail. It is a loop near the Zion Canyon Visitor Center that is a little under 3 miles in length. It climbs a little under 400 feet and isn’t too tough. It was a rather warm day so I was glad that I brought a backpack full of water. The hike is essentially and out and back to an overlook that gives great views of the valley. The ascent is fairly gradual, with switchbacks in a couple places. My daughter informed me that walking uphill was, “not her style” but we survived! The trail is well travelled and well maintained. We saw a ton of people all along the way. I chalk this up to the fact that there are relatively few medium length (3-5 mile) loops in Zion. Most of the trails are very short or much longer / more difficult. This trail is “just right”. While the kids got a little tired (and let me know about it), they had a good time and enjoyed the view form the top. There was a great variety of flowers alongside the trail. I don’t know if it was the time of year but we quite enjoyed all the color as we hiked. There was also a funny sign about rolling rocks off the side – don’t do that, there’s people down there! My son had to be reminded so I took his picture next to the warning. The trail also provided a rest stop and the kids were grateful for that! All in all, it was a great little hike with tremendous views all around. I’m very glad we went. Taco bout Awesome!